iPhone in Montana. No Contract! Prepaid! Biggest Networks in America. iWireless, Bozeman. iPhones: iPhone. No Contract. Prepaid Cellular. Bozeman, Montana. iWireless. SIM Card. Android. Refurbished and Used Phones. More Phones. iPhone. No Contract. Prepaid Cellular. Bozeman, Montana. iWireless. SIM Card. Android. Refurbished and Used Phones. More Phones. iWireless LLC is located in beautiful Bozeman, Montana. We specialize in No Contract cellular on America's 2 Biggest Networks -- think "Red" "V" carrier and "Blue" "A" carrier. We offer the same national networks, but from a local business that is locally owned and operated right here in Bozeman. From iPhones and Androids to basic phones... All on Prepay plans and starting as low as $15/month. And data is included, with no extra data charges to add on, even for smartphones. No kidding. No Deposit. No Credit Check. 1/2 the Price. The plans below use the actual towers of the 2 biggest cell carriers in America. So you get the same coverage ... But at a fraction of the cost. All with No Contract to sign, No Taxes/Fees, and No Early Termination Fees. "In the music industry, I've got to stay on my game. My iPhone and iWireless give me the personalization I love." Other times: By prior appt. We Sell Refurbished Phones Too! iWireless LLC also sells refurbished, used, and new phones... be it iPhone, Android, flip phones, basic phones, etc. Call or stop by today for more info. 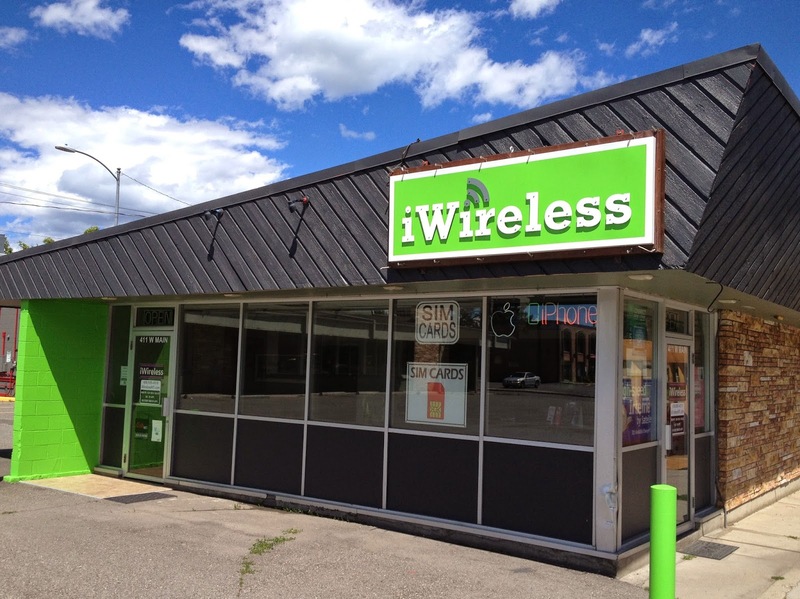 iWireless LLC is a local, authorized dealer for cell service & more. Service through America's 2 biggest cell carriers. iWireless LLC is not affiliated with Apple, Verizon, or AT&T.